Our mission is to provide opportunities to raise the level of knowledge in the numerous disciplines of medical lasers. By expanding knowledge, we will ultimately enhance the usage of medical lasers and improve their application. The American Institute of Medical Laser Applications (AIMLA) is recognized as a national leader in laser education and ethics. AIMLA prides itself in the adherence to outcome-based laser medicine and provides certifications for technology demonstrating reproducible evidence-based outcomes via laser technology. There has never been a better time to start your Laser Therapy Training! 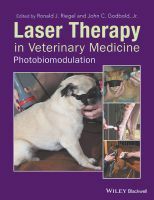 For a limited time only, AIMLA is offering up to 65% off the tuition fee on select online Laser Therapy Training courses. Purchase 3 or more eligible courses at once and save $25 per course! Just add them to your cart and the discount will be applied automatically. Eligible courses are indicated with the icon. The discount automatically applies if you purchase 3 or more of the same course. After placing your order, to complete the registration process please email support@aimla.info or call the AIMLA Office at 937-642-9813 with the additional participants' names and email addresses. If you want to mix and match eligible courses, please contact the AIMLA Office at 937-642-9813 to place your order.